Last week, following our Waitrose shipment, we had a call from a customer who needed some trees delivering urgently (by Friday Morning!!) for the Barbour Christmas promotion campaign. The three beautiful Norway Spruce Christmas Trees pictured were cut fresh and sent out on an overnight delivery to arrive in time to be dressed in their best for the photo shoot. Additional bags of foliage were also provided for use in creating garlands for a staircase and fireplace. Barbour has long since been a well known brand amongst us farmer types who remember our parents in ‘barbour waxed jackets’ etc. However, they are currently enjoying a revival with contemporary styles hitting the high street. To be supplying trees that will feature in their promotional work is a pleasure for us. 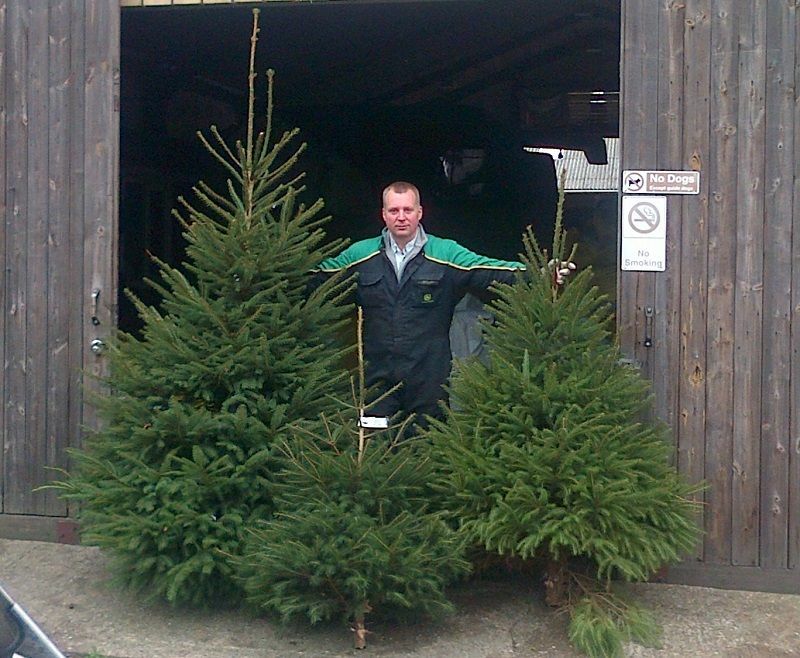 Here at the Christmas Tree Farm, we love helping people with their Christmas Tree requirements throughout the year. However, assignments like this in early Autumn always succeed in bringing a air of excitement as we realise the Christmas is fast approaching. And to work with brands like Barbour is great for instilling confidence in our new customers. Our long standing old customers know and love our quality and together with good service we aim to keep our customers for years to come. Everyone keep your eyes open when the Christmas adverts start hitting our TV screens and appearing in our magazines. See who can spot a ‘The Christmas Tree Farm’ tree, if you see one, please do let us know on our Facebook page (www.facebook.com/TheChristmasTreeFarm) or via Twitter (@TCTF). 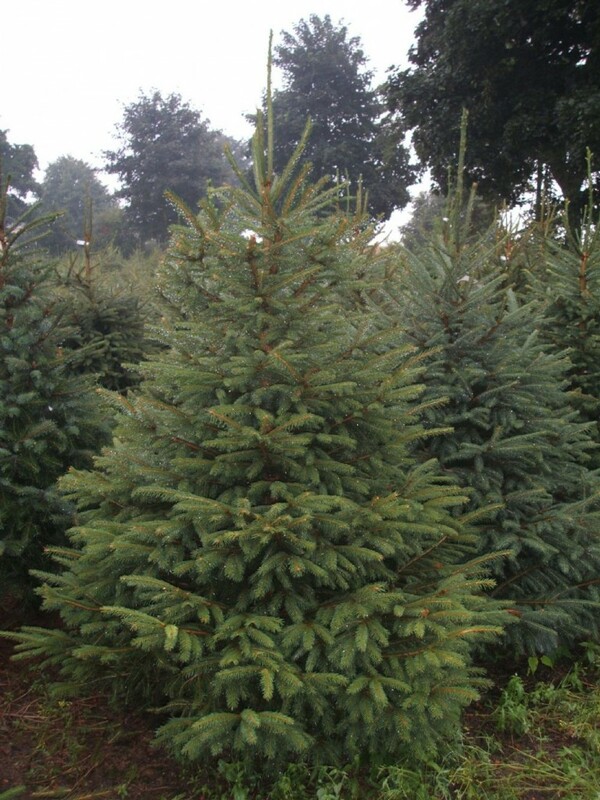 And remember if you need a Christmas Tree at any time of year please give us a call or drop us an email. Please also ensure you tell friends, family and colleagues. We are here to help and always pleased to do so. As you know, we have been busy tagging the Christmas trees ready for the coming harvest and festive season. As a grower, there is no better feeling than placing the chosen coloured tag around the neck of a tree that you have nurtured for 5, 6 maybe 7 years or more. Having watched it grow from a transplanted sapling of around 20-30cm and watching it grow whilst keeping it healthy, fed and watered and in good shape. We also have to protect it from disease and pests. Why it almost sounds like raising a child, and we should know, we have three of those as well. This video was taken on a beautiful, warm day and as you will see, practically every single tree is good enough to make the ‘Premium’ grade to which we aspire. As each tree is harvested, another one will be planted in its place, helping us remain sustainable and environmentally aware. This is a small corner plot which was planted up with Norway Spruce Christmas Trees a few years ago. These trees have reached a size and quality which has enabled them to be tagged ready for harvest. They range in size from approximately 4 to 6 feet. Many of these trees will actually go to help decorate our local town centres. Councils come to us yearly to provide these trees for display above the shops on the high street, or similar. We hope that this area of the plantation will be cleared this year and the plan then is to create an extra area for the reindeer to enjoy. You can be assured that when you buy a Christmas Tree from The Christmas Tree Farm, we want you to be as proud when you receive the tree as we are when we send it. We want you to unwrap your tree and give it pride of place in your home, dress it in its ‘Sunday Best’ and enjoy its company throughout the festive season. The Christmas Tree Farm helping make your Christmas special!